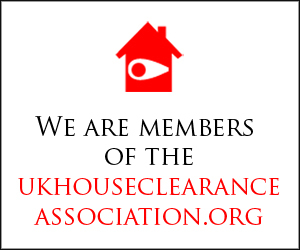 Occasionally Foxtons come across some items in a house clearance that either have value or simply just interesting. We come across many old photographs, vintage items, forgotten cash or jewellery and various antiques. 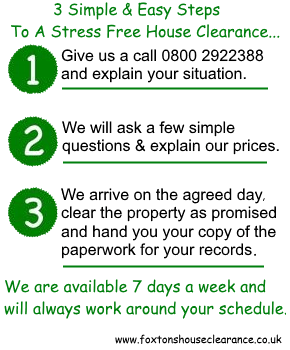 We will always make our customer aware of these items and place them to one side. Although every now and then we come across some items that the customer allows us to do as we please with them, such as this Saver Book of Green Shield Stamps that we found during a house clearance in the Luton area. 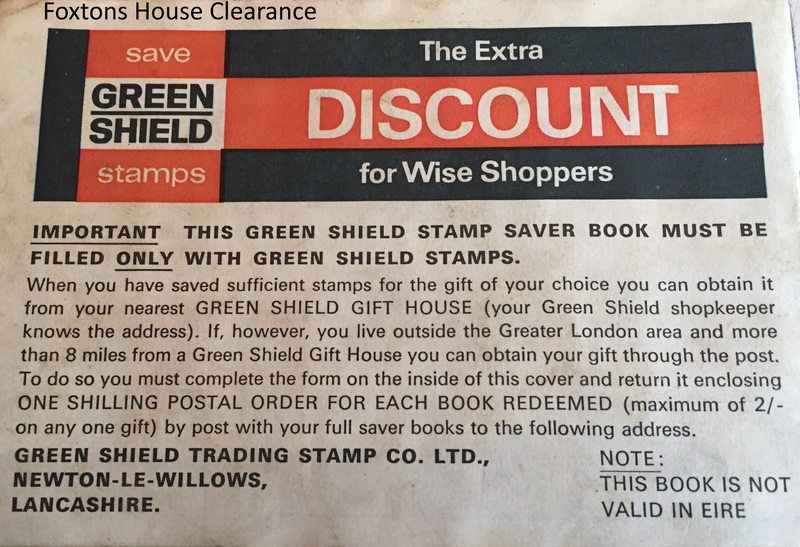 Green Shield Stamps were a sales promotion or incentive loyalty scheme using trading stamps, designed and deployed in the United Kingdom and Ireland to encourage or reward shopping, by being able to buy gifts. Green Shield Trading Stamp Company was founded in 1958 by entrepreneur Richard Tompkins, and the stamps were withdrawn in 1991. In Britain during the 60s & 70s Green Shield Stamps were almost everywhere. When you bought groceries in certain shops you would get stamps to put in your savers book. When you collected so many stamps and completed your savers book you would be able to exchange your book for gifts. Do you remember green shield stamps? Many people will remember the green shield stamps however there were other scemes also like Gift Coupon, Happy Clubs, Thrift Stamp, Uneedus Bonus, Universal Sales Promotions or Yellow Stamps. Does anyone remember any of these? A “Stamp War” broke out in 1963/4. Fine Fare starting giving away the American S & H Pink Stamps. This encouraged stores like Tesco and Priceright to start giving away green shield stamps to compete with other stores. Green Shield Stamps and other trading stamps were more often given out in smaller shops during the early sixties. Local butchers, fishmongers, bakers and chemists etc all give out these stamps. Bigger stores then started to sign up to the scheme, stores like Tesco. 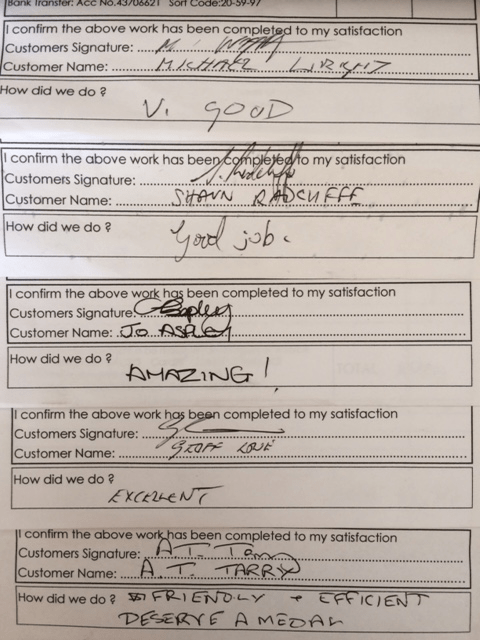 It was a way of bringing in customers and building customer loyalty. The customer found this great as it meant free gifts. The retailer was the one who paid the stamp companies therefore they may have passed this cost onto the customer but in 1965 still found prices no higher n these stores that gave away the stamps. More shops give Green Shield stamps than any other stamp- that’s why you get Green Shield gifts FASTER. More garges, too, give Green Shield- so fill up your book when you fill up your car ! More people can save them more quickly- for best gifts FASTER. Green Shield gifts include hundreds of different products, all with famous household names.